By C. M. - March 2017. In addition to being one of Canada's hot tourist destinations, Montreal boasts several locations where a person can do archery while visiting this grand old city. My wife and I, both archers, even had our honeymoon in Montreal so the city has a special place in our hearts. I didn't get a chance to do archery while there, but believe me I looked for possible places to do so. Club memberships were required to use the space and the range was not open to people just stopping by / tourists looking to do archery. Clubs were often open only certain days of the week, between certain hours. It was theoretically easier to do gun practice in Montreal than it was to do archery, judging by the number of gun ranges/clubs. As such I didn't do any archery in Montreal. It was disappointing to say the least. Travel all the way to Montreal, and then don't get the opportunity to do archery there, visit some local archery stores, chat up the local archers - these were definitely on my bucket list of things to do in Montreal. Or anywhere interesting for that matter. Bhutan for example. I really want to do archery in Bhutan someday. But I digress. Fortunately there is now a solution for people wishing to do archery while visiting Montreal. Toronto's own "Battle Sports" has expanded to Montreal, opening their new facility: Sports de Combat. The new location is at 5335 Avenue Casgrain, Montreal - close to both Rosemont and Laurier subway stations. And their website is available in both English and French, so that scored points with me immediately. Frankly any business in Montreal hoping to get more tourists (or people in general) should really have a website that is in both English and French, and likewise staff on site who are bilingual. So what does Sports de Combat have to offer? #1. 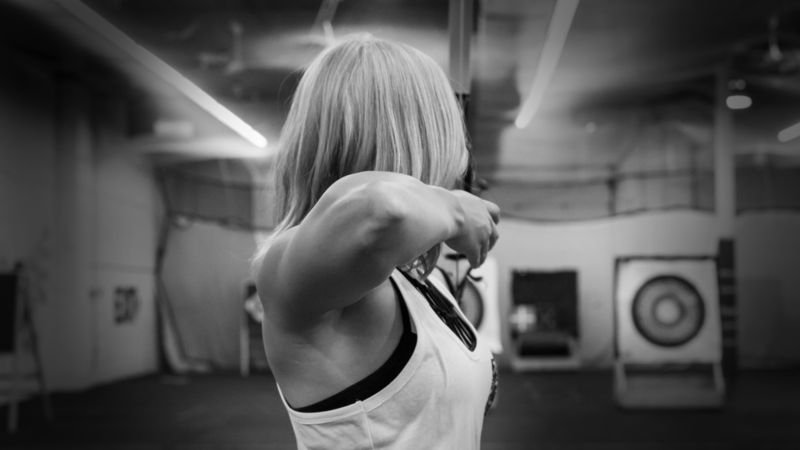 Montreal Archery Lessons in English - $40 for 90 minutes, group lesson. #2. Montreal Leçons de tir à l’arc au Français - 40 $ pour 90 minutes, leçon de groupe. #3. 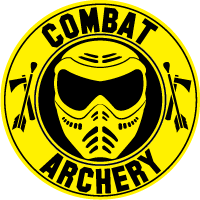 Montreal Combat Archery in English - $24.99 per person for 90 minutes. Which includes 30 minutes of instructions plus 60 minutes of archery combat. #4. Montreal Combats à l’Arc au Français - 24,99 $ par personne pendant 90 minutes. Qui comprend 30 minutes d'instructions plus 60 minutes de combat à l'arc. #5. Montreal's Largest Indoor Archery Range - Archery Range Flat Rate is $15. Add $10 if you need to rent archery equipment. #6. La Plus Grande Gamme de Tir à L'arc de Montréal - Le tarif forfaitaire de tir à l'arc est de 15 $. Ajoutez 10 $ si vous avez besoin de louer de l'équipement. The wife and I tried archery tag years ago when Archery District first opened in Toronto. Really exhausting for the legs. Not eager to do that again any time soon. Also she has been shooting for roughly 3.5 years now and I will have been shooting for 28 years this April, so neither of us would be interested in the archery lessons - but I include such information for those people who are interested in doing such things. But access to the archery range does interest us. If we go back to Montreal for a second honeymoon in the future we shall look into booking some range time together. 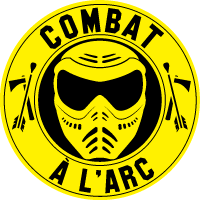 Sports de Combat also offers a variety of other things: Axe Throwing, Knife Throwing, Nerf Guns, a "Riddle Room" - basically an escape room where you have to solve puzzles to get out of the room, and an European style "Rage Cage" for smashing things. The wife and I stayed at La Petite Bourgeoise, a lovely bed and breakfast place in Verdun. It was absolutely wonderful. Where to eat in Montreal? The wife and I tried many different restaurants during our honeymoon in Montreal, but the place we enjoyed the most served Korean-style fried chicken: The Basak Restaurant. What else to see in Montreal? There was so much to do and see that we didn't get to do it all. The Tourist Information Centre of Montreal is located in the heart of downtown Montreal and will lead you to many other things to do in Montreal. The places I enjoyed the most was the Montreal Biodome, the Montreal Botanical Garden, the Planetarium, and the Mount Royal Chalet. I would have liked to have also gone to the Montreal Biosphere (which is different from the Biodome), but that didn't happen.